Just five years ago, unemployment rates and the price of food and gas skyrocketed as people across the country tried to get back on their feet after the recession. Thousands of families in North Carolina were forced to choose between filling up their gas tank so they could drive to work or buying groceries to feed their family. Our neighbors in the eastern region of our service area particularly struggled to put food on the table, and as they turned to our partner food pantries and soup kitchens for help, we struggled to meet the high demand for emergency food assistance. At that time, we provided food to Carteret, Craven, Greene, Jones, Lenoir, Onslow, Pamlico, and Pitt counties solely through our Greenville Branch. With many rural communities across the region, this expansive service area that stretches more than 100 miles across proved to be a burden on many of our partner agencies in the area. Many of them had to travel more than two hours to get to our Greenville Branch to pick up food. The high gas prices made the trip costly for our partners, and many of them simply could not afford to make the long drive. We knew that in order to better serve our partner agencies we had to provide better access to healthy food. We knew that our Greenville location was simply too far away from our eastern-most counties, many of which have tremendously high rates of food insecurity. So we set out to establish a new branch location in the region to not only improve our services to our existing partner agencies but also to allow us to engage new partners and increase our collective capacity to serve eastern North Carolina. After months of searching, we finally found a home in New Bern. In July of 2010, the Food Bank grew from five branches to six with the opening of our small but mighty New Bern Branch. 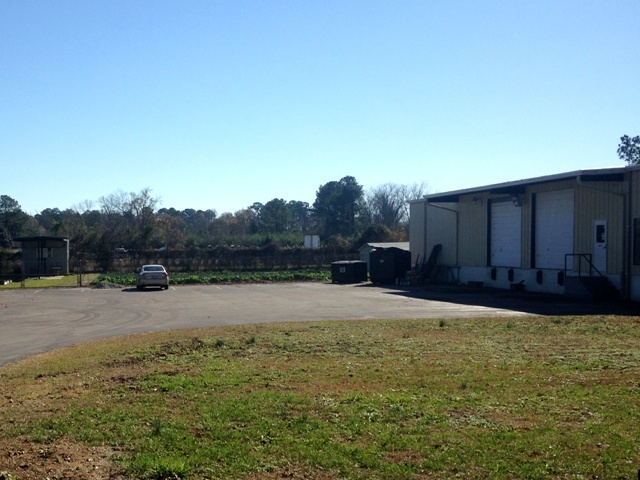 Outside of our New Bern Branch and community garden. Inside of the New Bern Branch. Within the first year of operations, the Food Bank at New Bern distributed more than 568,000 pounds of food and broke ground on a new community garden next to the branch. This new location cut travel time for our partner agencies in half, and with the hiring of new staff members we’ve since been able to recruit even more partners in the area, dramatically increasing the amount of food provided to the surrounding counties. The Food Bank at New Bern has also helped improve our disaster relief efforts. When Hurricane Irene devastated many regions in the New Bern service area in August of 2011, the branch immediately mobilized and provided more than 550,000 pounds of disaster relief products over the course of five weeks. 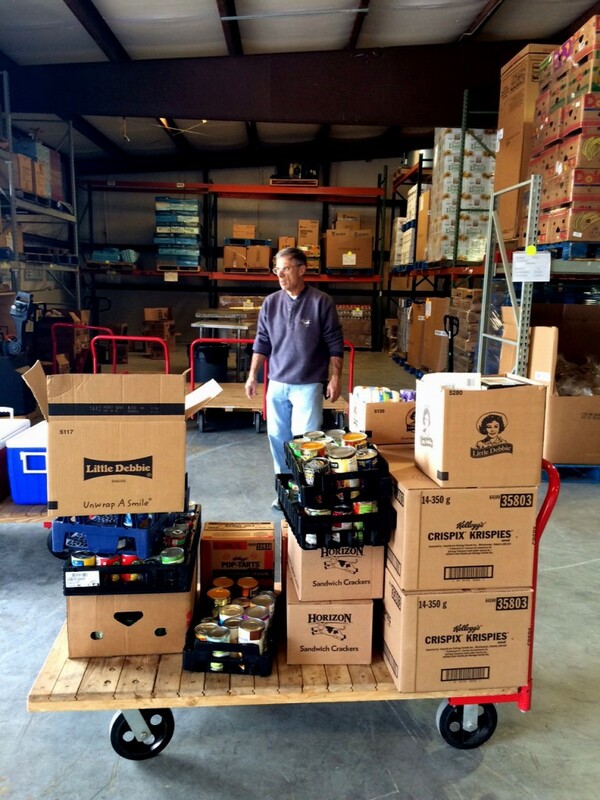 A partner agency picks up food to provide to the New Bern community. Last year the branch received a donation of a new walk-in freezer thanks to our generous partners Cubic, the USAA Foundation, and Christ Episcopal Church of New Bern. This allowed the branch to now store approximately 14,000 pounds of frozen food including protein-rich meat. Over the last five years, the New Bern Branch has distributed record-breaking amounts of food every year, altogether totaling over 9.2 million pounds. That includes 12,000 pounds of fresh produce grown in our very own garden! 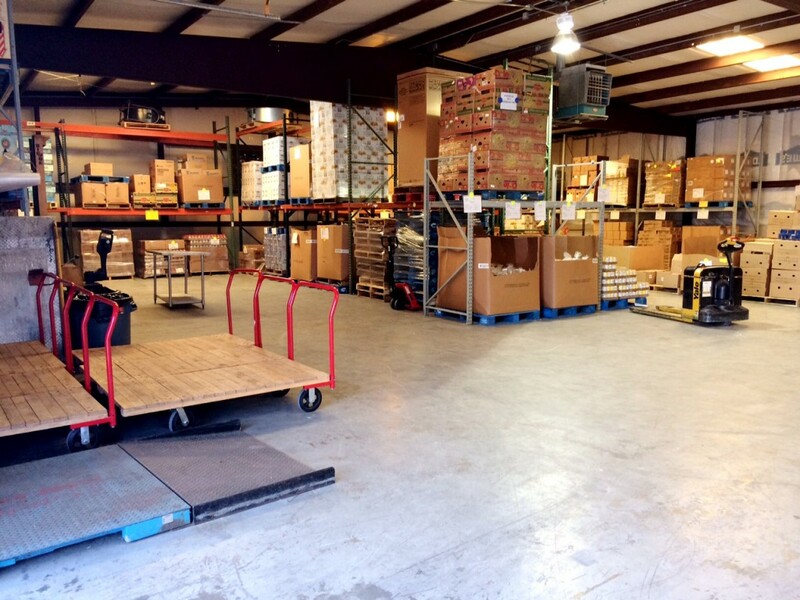 When we began work at the 6,200 square-foot facility, we had only one staff member—a driver from Greenville—distributing food from the branch for just 12 hours per week. Now we have four full-time staff members including a new Eastern Regional Director and are hiring a part-time driver. In an area where 62,780 people live in food insecure households, a third of whom are children, the Food Bank at New Bern provides a critical service to the community. It is our fastest growing branch as we form new partnerships with local food pantries, retail stores, volunteers, local businesses, and individual donors every day. We are so grateful for what we’ve been able to achieve together over the last five years, for the millions of pounds of food we’ve been able to serve to thousands of local families, and we look forward to building an even stronger community together over the next five! 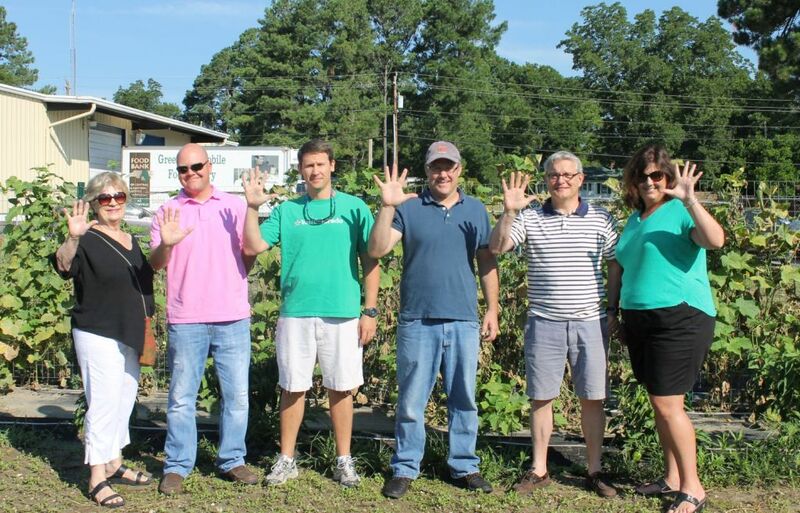 Our New Bern Regional Council members celebrated five years of service to the New Bern community by volunteering in the community garden. Thank you all for your service!